In the Control Panel, open the Import menu. 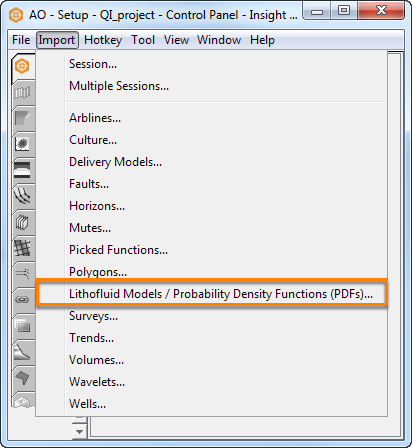 Click on Lithofluid Models / Probability Density Functions (PDFs). Select the Statistics/LID PDFs (.dupdf or .dustat) file and click Open. 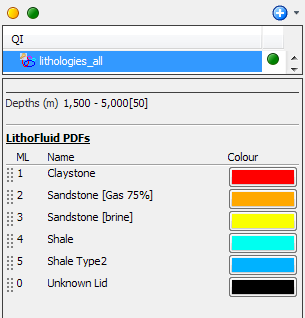 The LithoFluid Model/PDF will be displayed in the QI tab. For more information, see Loading LithoFluid Model, LithoFluid Propability and Creating a Prior Model.